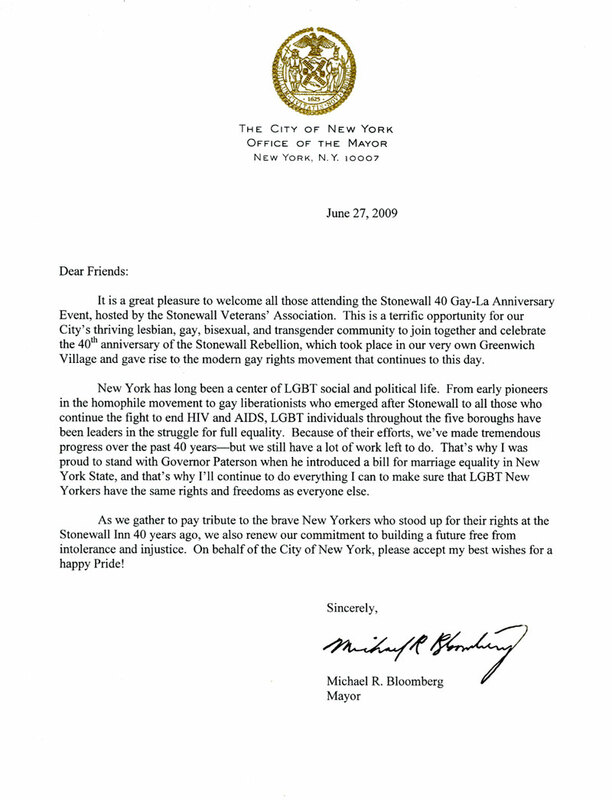 Mayor Bloomberg's 2013 Letter to the STONEWALL V.A. 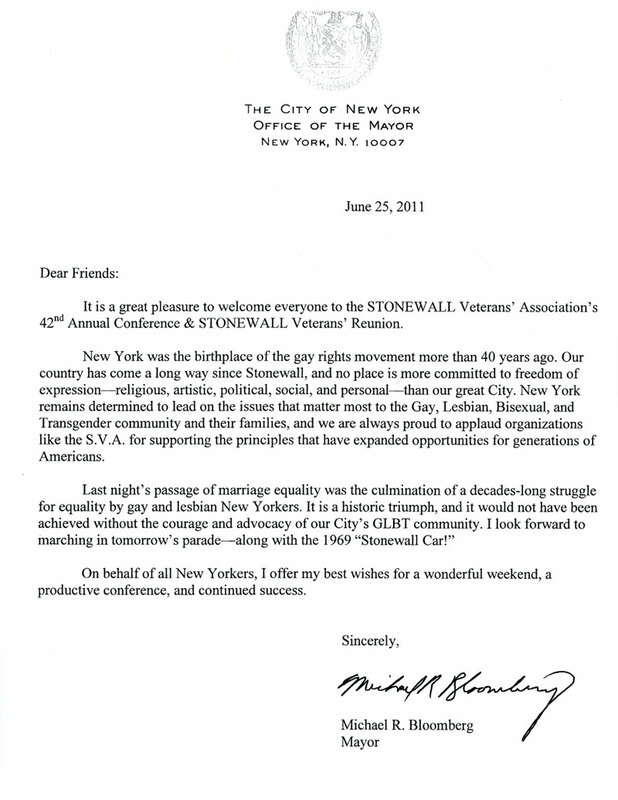 Mayor Bloomberg's Letter to the STONEWALL Vets Assn. 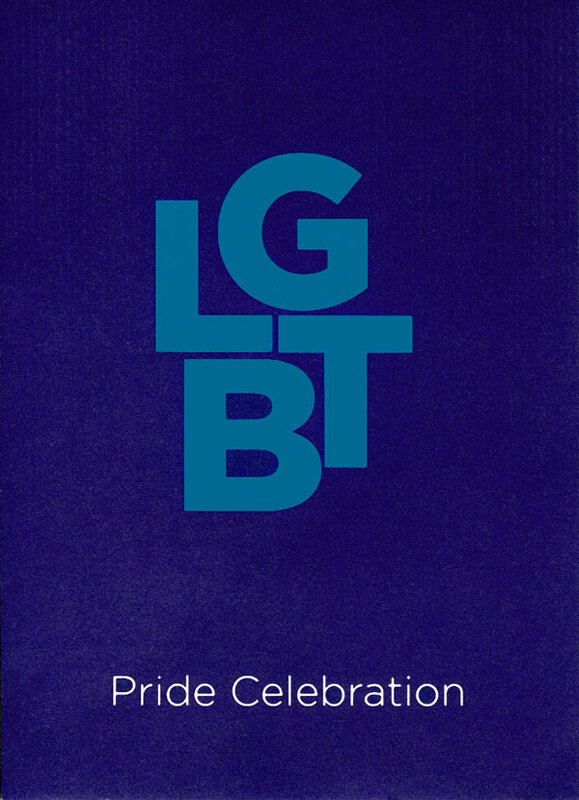 City Gay Pride Parade and the famous 1969 "Stonewall Car". 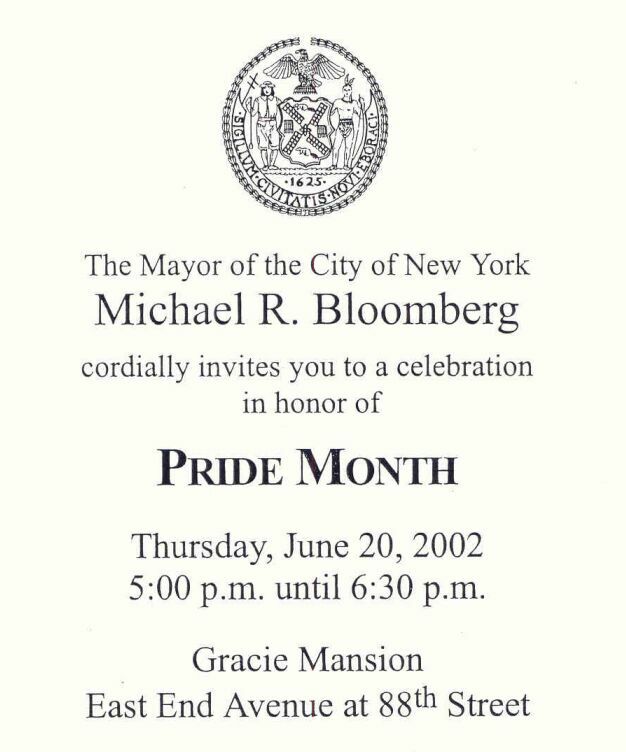 It was historically accurate, intellectually astute and socially appropriate for New York City Mayor Michael Bloomberg to smartly invoke the 1969 Stonewall Rebellion in New York City bridging the decades to Gay Marriage in New York State. 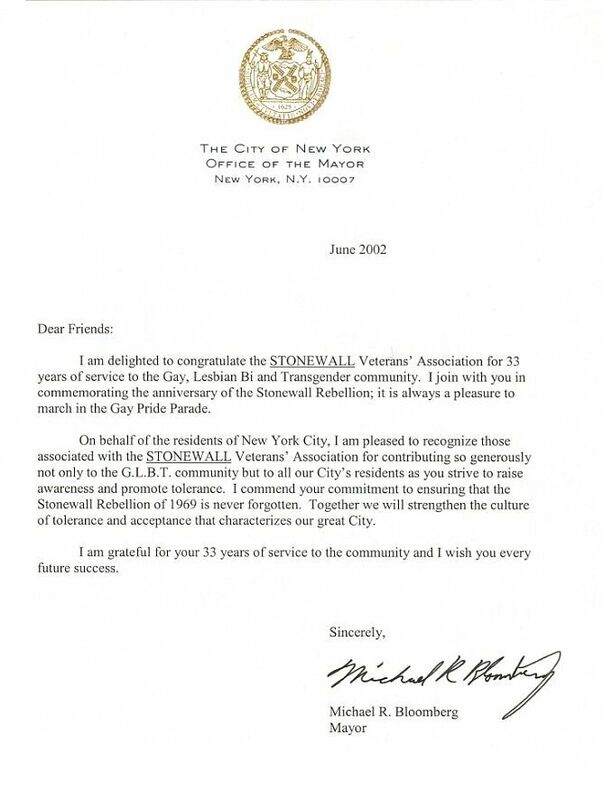 The knowledgeable-on-the-subject Mayor has had first-hand accounts of the Stonewall Uprising for exactly a decade since he personally met with, and then paraded with, the STONEWALL Rebellion Veterans' Association. AnDre Christie via S.V.A. 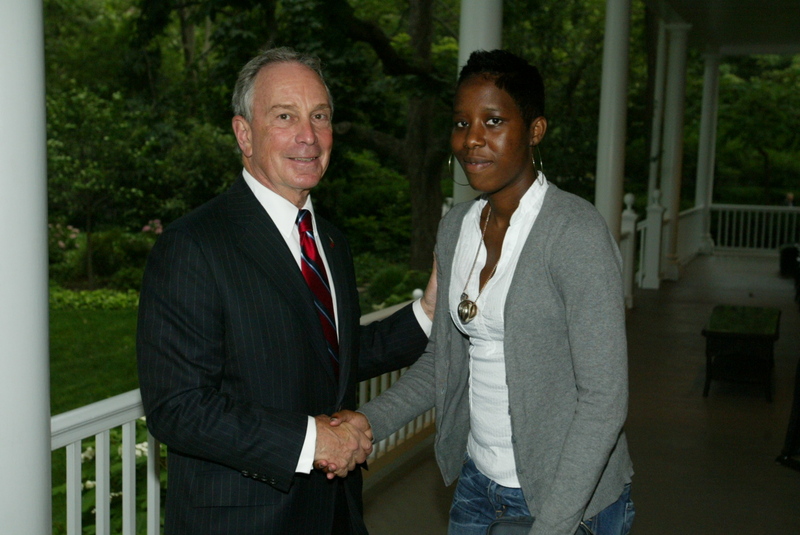 and Michael Bloomberg via N.Y.C. 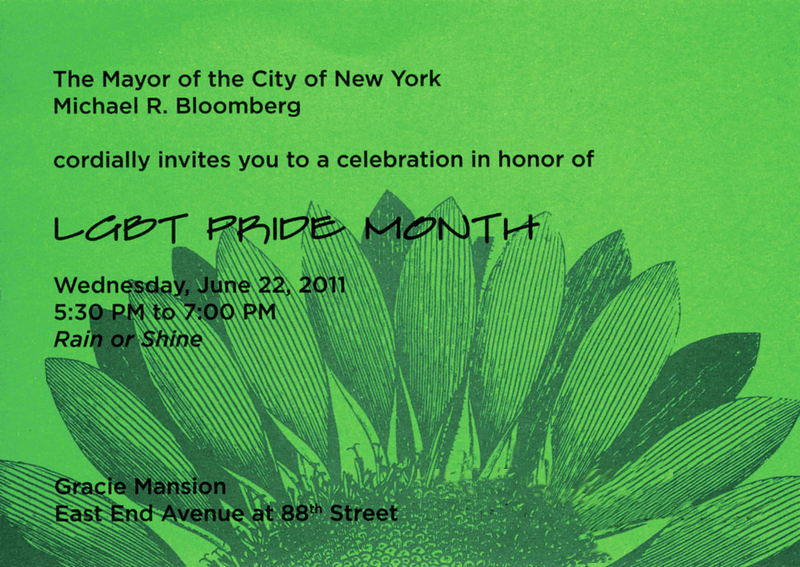 Mayor Michael Bloomberg Honoring "Stonewall-40 & Gay Pride Celebration"
Note: The Mayor was clearly happy to meet happy, yet nervous, Gina! 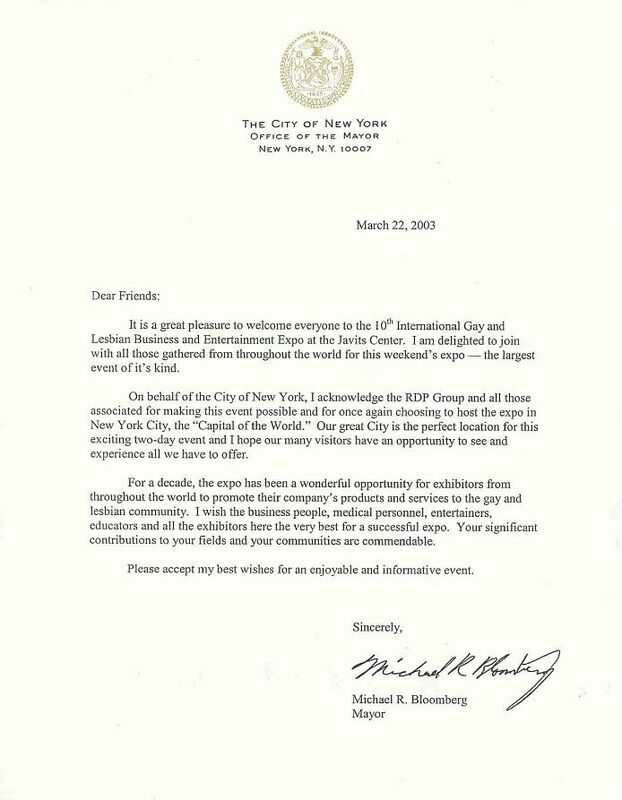 Mayor Michael Bloomberg's 2009 Letter to the S.V.A. "'Term limits' are like Lee's press-on nails... they're artificial!" 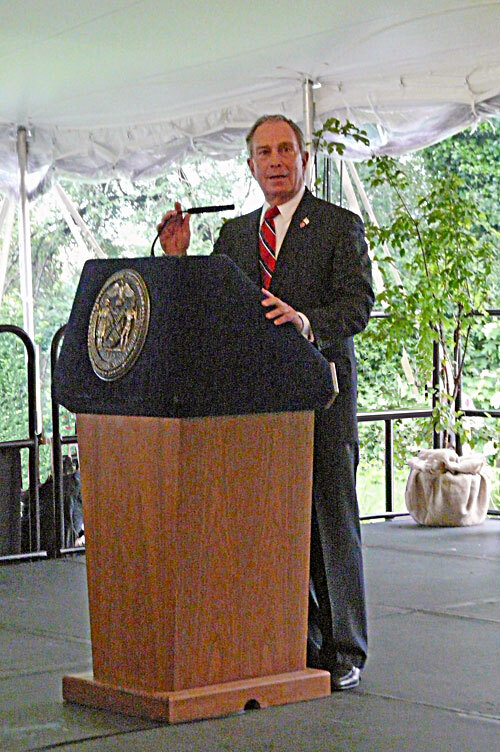 "New York City's the last place in the world where people need to be told how to vote with that 'who-you-can't-vote-for' non-sense!" 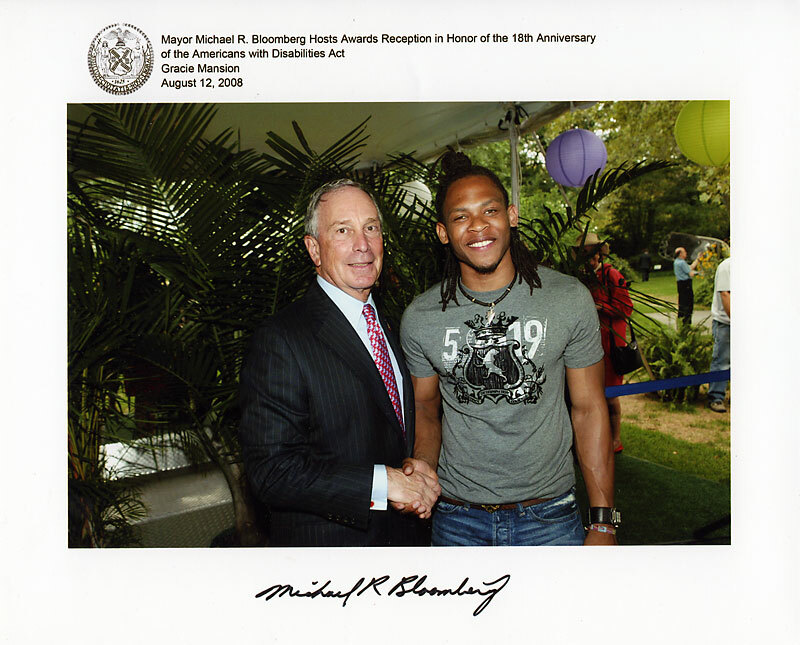 "The millions of citizens of New York City should be grateful that Mayor Michael Bloomberg has most generously agreed to continue in public service of the highest order and to be available as mayor. 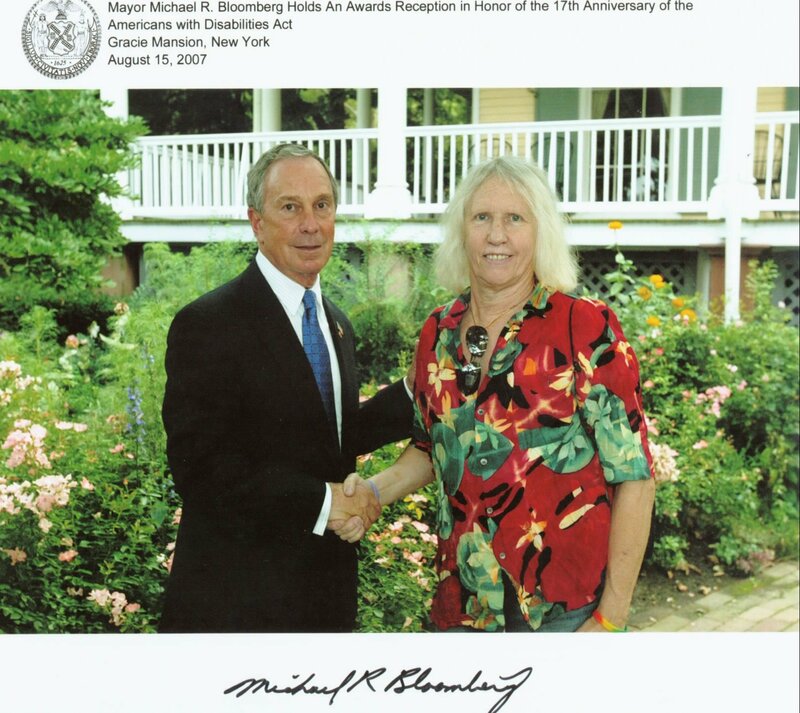 It's not like he needs the annual salary of one dollar! 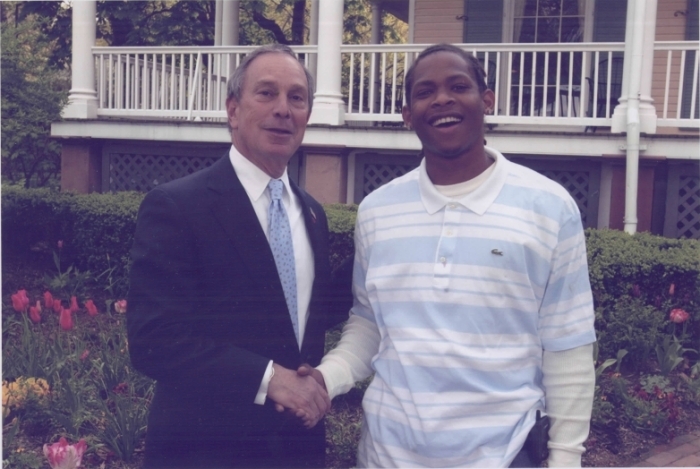 "Term limits for what? We've got 'em in the voting booth! Let's get rid of term limits! 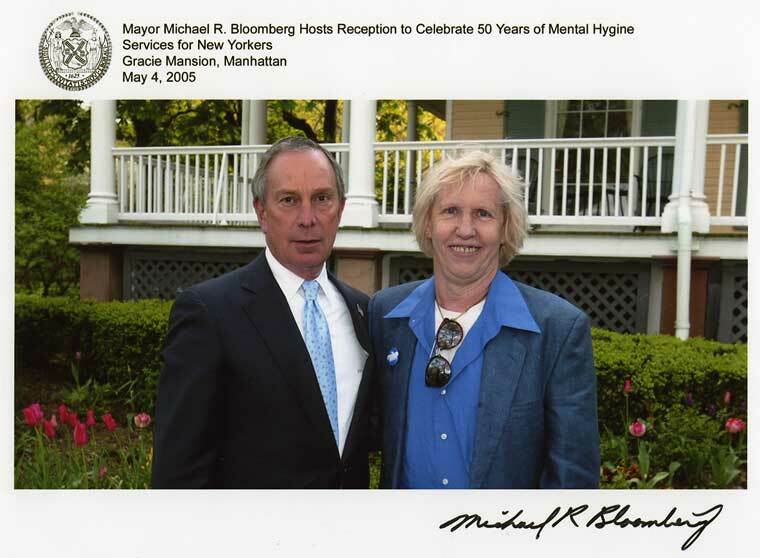 Meantime, extend 'em!" 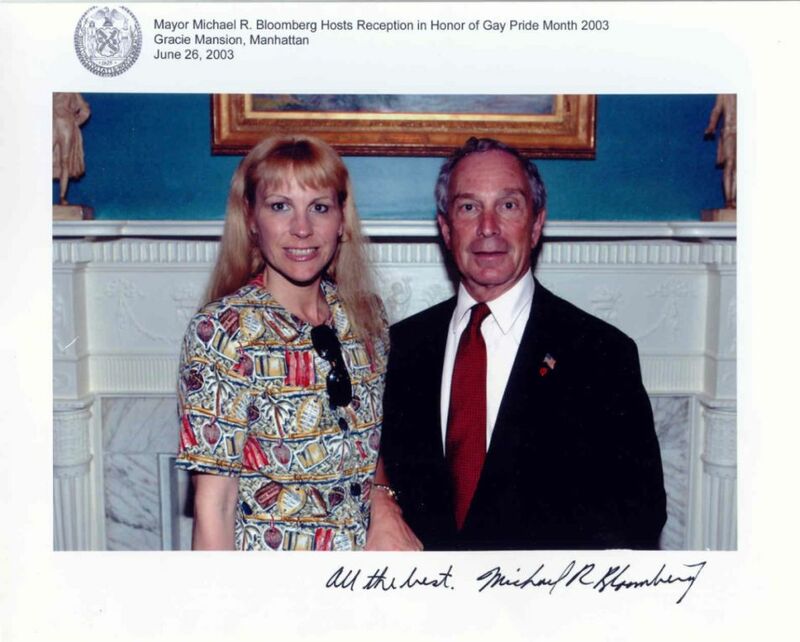 "City Council members were elected democratically by the public. They have the right and the obligation to do what is right and practical for the City including the extension of 'term limits'. 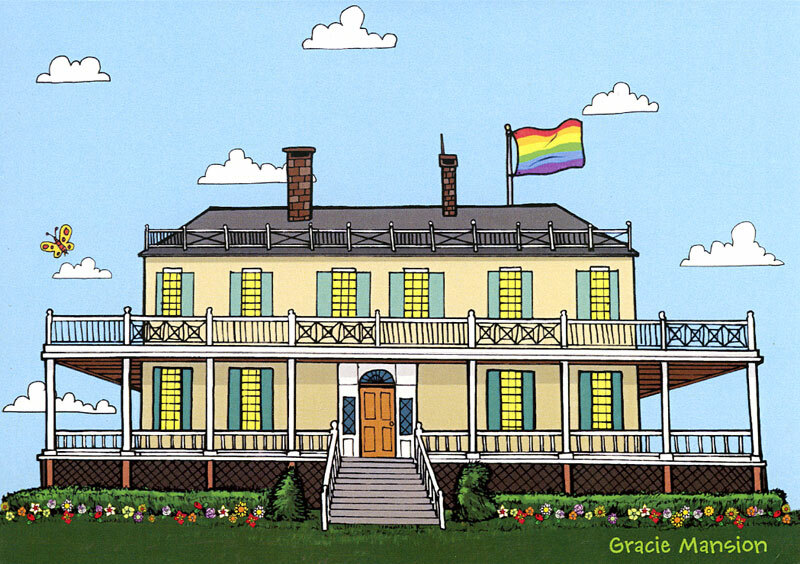 God bless the majority for doing the right thing! Majority rules!" 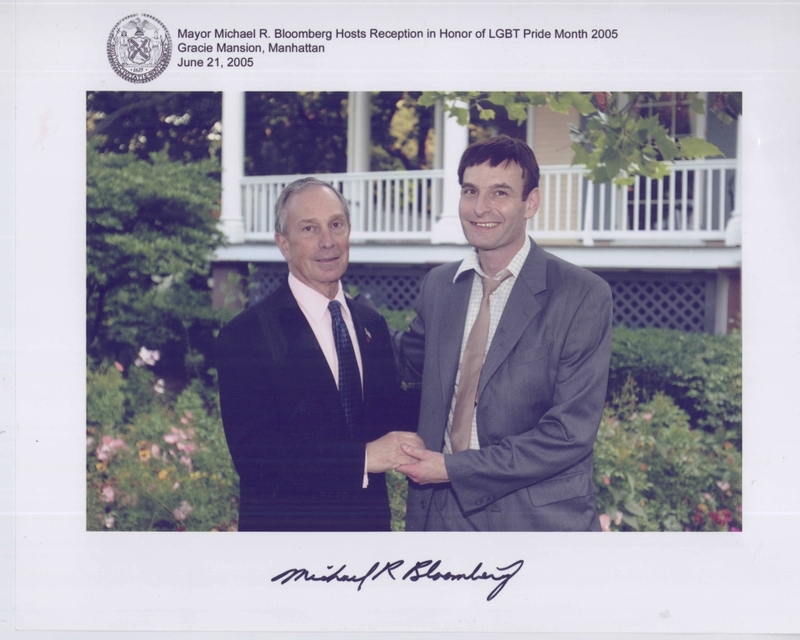 "Since we were successful in knocking down the barriers at Stonewall and starting the largest civil rights movement in the world, coming down on the side of "no barriers" in voter choices is a no-brainer for Stonewallers!" 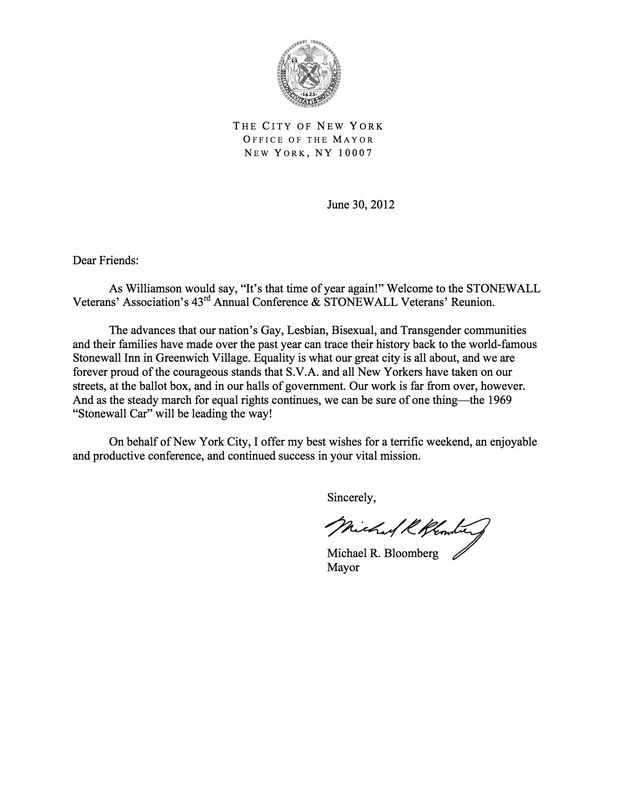 with the STONEWALL Veterans' Association as their special guest. 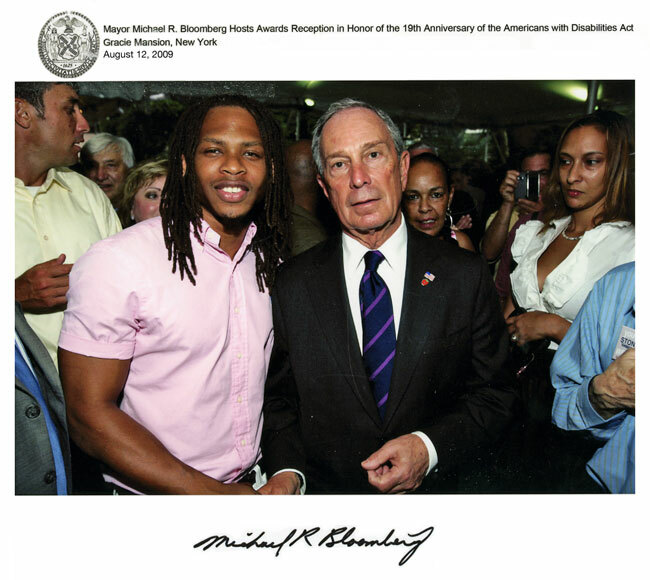 Mayor Michael Bloomberg's 11th Annual "State-of-the-City"
Morris High School Grand Auditorium, The Bronx, N.Y.
"New York City Annual St. Patrick's Day Breakfast Party"
at Thank God It's Friday Restaurant in Manhattan, NYC.